Dr. William Mitchell was one on the co-founders of Bastyr University, and was nationally recognized as one of the top physicians of his field. He dedicated his life to the advancement of Naturopathic Medicine through clinical and educational work. He practiced Naturopathic Medicine in its true form, using the healing power of nature to support each individual in treatment and prevention of disease, and in their achievement of optimal health. As a physician he helped thousands of patients over 30 years, empowering countless people to make positive changes for themselves and their families. As a teacher, he educated and inspired clients and students across the nation until his death in January of 2007. He is greatly missed. Speaker: Bill Mitchell. An original philosphical consideration of the future of herbal medicine..
Speaker: Bill Mitchell. The most useful combinations are presented by a clinician with over 20 years..
Speaker: Bill Mitchell. The chakras are the seven energy centers of the body as described by Indian ..
Speaker: Bill Mitchell. Wide-ranging therapeutic discussion from Dr. Mitchell's clinical experi..
Speaker: Bill Mitchell. Follow the history of herbalism from the earliest times: Aboriginals, M..
Speaker: Bill Mitchell. A look at archetypal ceremonies, the early use of ceremonial herbs and ..
Speaker: Bill Mitchell. Features a botanical formula which has been shown to be effective in re..
Speaker: Bill Mitchell. 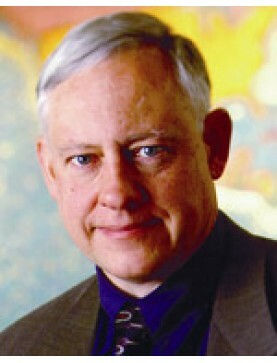 Explores the role that herbal medicine and the plants have played in tr..
Speaker: Bill Mitchell. A thorough discussion of some of the most common respiratory patho..
Speaker: Bill Mitchell. The ancient theory of the vital force has been rediscovered and expande..
Speaker: Bill Mitchell. Botanical management of hepatic enzyme systems; both Phase I and Phase ..